Micromax already set his foot in the mobile market. Now Micromax is trying to enter in the world of smart TVs and Laptops. Micromax already launched their first smart TV. 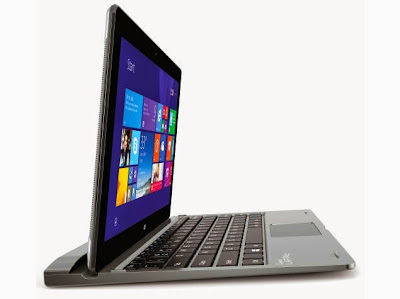 Recently Micromax launched it’s first hybrid laptop which they called as Micromax Laptab. Micromax can be used as laptop or as a tab. This 2-in-1 device will be available exclusively on Amazon India website starting at May 6. You can buy Micromax Laptab at Rs. 14,999 only. Micromax Laptab runs on Windows 8.1 and upgradable to Windows 10 OS. Micromax canvas Laptab has 10.1 inch IPS display with a WXGA (1280×800 pixels) resolution. It is powered by a quad-core Intel Atom Z3735F processor and has a 2-megapixel front and rear camera. Micromax Canvas Laptab is the perfect device you can buy at Rs. 14,999. Take alook at the features of Micromax Canvas laptab which makes this device worth your money. Micromax Laptab features 10.1 inch IPS display with 16M colors and has resolution of 1200X800 pixels. It runs on Windows 8.1 OS and upgradable to Windows 10 OS. Micromax canvas laptab is powered by Quad core Intel Atom Z3735F processor along with 2GB DDR3 RAM. Micromax Canvas Laptab comes with 2 MP rear and front camera which can take pictures of resolution 1600X1200 Pixels. This device comes with 32 GB internal storage which can be expanded to 64GB using Micro sd card. The buyers would additionally receive 1TB of cloud storage on Microsoft’s OneDrive service. Micromax Canvas Laptab offers one year of free subscription for Microsoft Office 365 Personal apps. It also houses dual speakers placed either sides on the rear panel. Micromax Laptab is powered by 7700mAh battery which is rated to offer a usage time of 10 Hours. Connectivity features of the device feature Wi-Fi, Bluetooth 4.0, USB 3.0 port and 3G. The Micromax Canvas Laptab is priced at Rs. 14,999 and will be exclusively available from Amazon.in starting from May 6th. 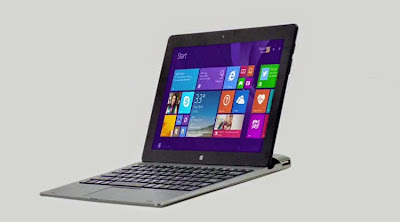 Micromax Canvas Laptab is one of the smartest device from Micromax which can be used as Laptop as well as Tablet. This device can also be upgraded to latest OS Windows 10 which makes this device more worthy. The connectivity options loaded in the device make it extremely handy. The tremendously powerful battery is useful enjoying an uninterrupted supply for a long period of time. Microsoft will launch Windows 10 in next few months and according to news Windows 10 will support all the Android and iOS apps. Micromax Canvas Laptab is perfect device to replace your regular notebook.